With stunning panoramic views of the Pacific and the mountains and waterfalls which can be enjoyed from the lanais on each unit. Hanalei Bay Villas is a collection of 37 free-standing "villas" in one remarkably well-manicured complex with a wide variety of tropical plants and shrubs. 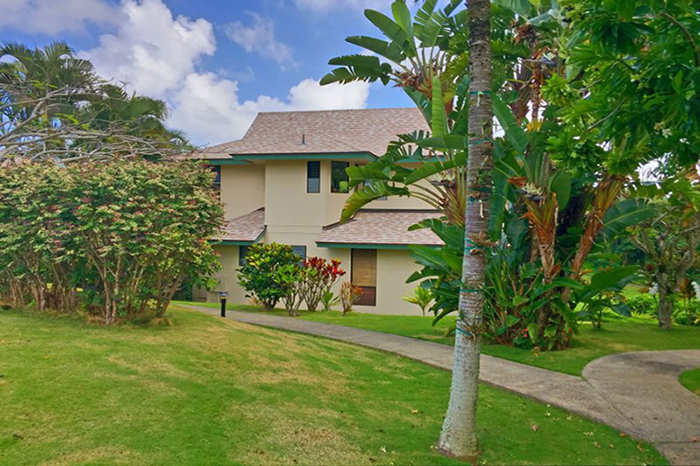 Unlike all other condos within Princeville which share common walls with other guests, our these stand-alone villa provide complete privacy, making it your very own personal paradise. 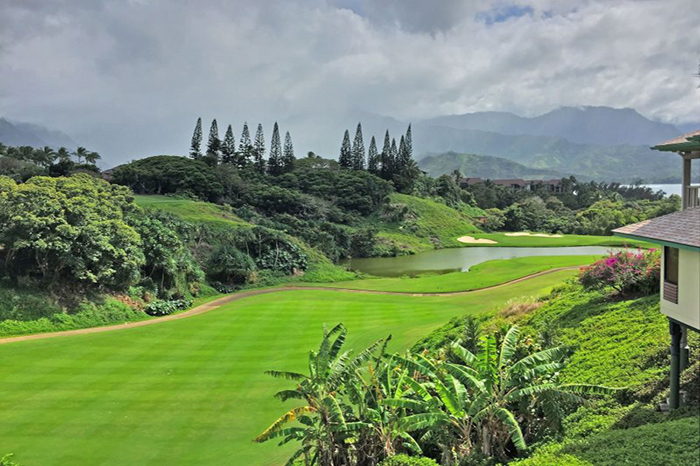 Located on a point of land with Hanalei Bay Resort, Hanalei Bay, and the mountains on one side of the complex and the Pacific Ocean right across the street. There are three beautiful beaches within close walking distance. And the St. Regis Princeville Hotel is right next door, where you can take advantage of the incredible views, exquisite dining and other high-end accoutrements of a five-star hotel complex. 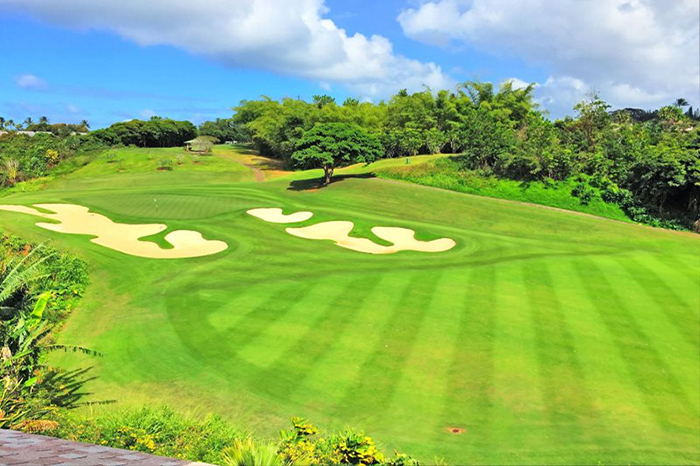 The town of Princeville (two miles away) has great restaurants and shops with ice cream and a full scale supermarket with local fish and meat as well as two world class golf courses and two restaurants. A few miles down the road is the quaint town of Hanalei where shops abound for clothing, beach gear and great food. The famous beach at Hanalei is not only has a champion surf break, but is also one of the most beautiful spots in all of Polynesia, especially as the morning sun is peeking over the mountains and sprinkling diamonds on the breaking surf. But some folks are captured by the gorgeous sunsets over Bali Hai! The natural beauty of Kauai is commonly captured in movies such as Jurassic Park, King Kong, Indiana Jones and the old classic, South Pacific. 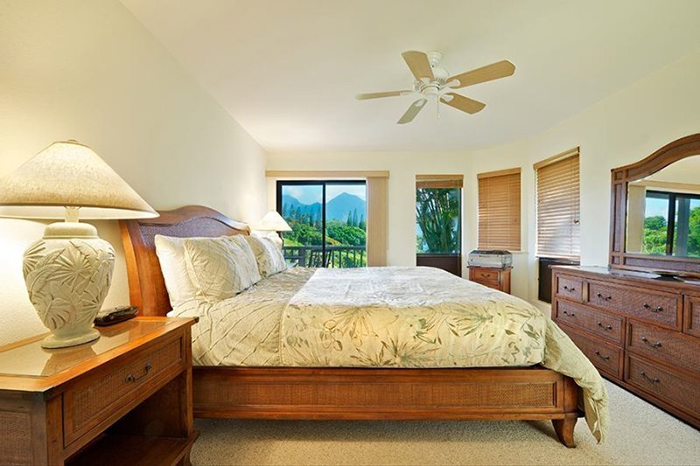 This beautiful free standing home at Hanalei Bay Villas is surrounded by tropical jungle gardens and waterfall mountain views. Just a short walk to the Princeville St. Regis Hotel and a path down to Hanalei Bay, you are just across the street from Bali Hai sunset views...a beautiful place to relax and enjoy the tropical breezes and tranquility.